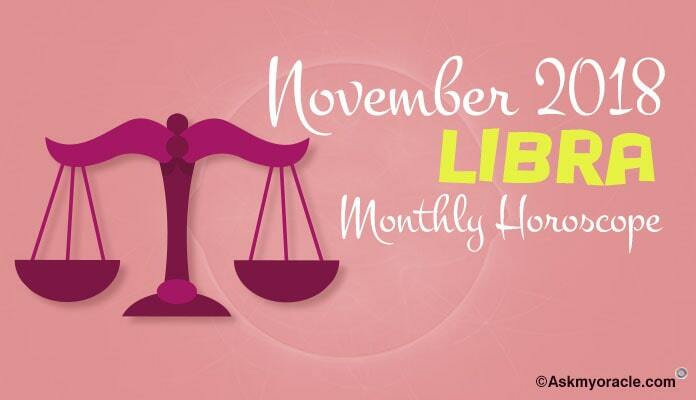 The free horoscope for Libra for the month of November 2015 predicts that for this month you are going to focus on your domestic life as your family and emotional issues are going to get more attention compared to your professional life. You will be involved in family issues and problems which demand you to take some important decisions. You must spend more time with your loved ones and deal with the emotional turbulence or issues that are affecting your family. There is nothing much to worry about your career as your professional front seems smooth with everything in place. You will be able to achieve targets at work with ease as there will be no resistance from your co-workers. 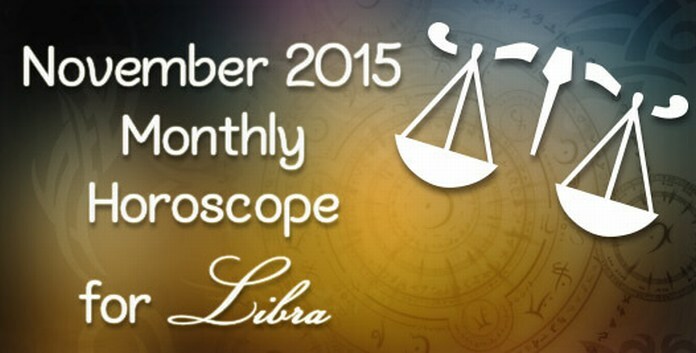 The career horoscope for Librans for the month of November 2015 forecasts that there is nothing to worry about your professional life. Things will be under control and you will be able to deliver good performance. Be ready to experience some changes at work. If you are in job then you may change your job or you may be shifted to some other department or branch of your present company. This will bring about a big change in your working as you will new environment or role to deal with. If you are in business then you might take some important decisions which will again modify the nature of your business. The financial situation for Librans is going to be smooth as well. You will be able to make money from different sources which will keep your financial situation in place. If you have made any kind of overseas investments then you are going to make good money. You will also be able to increase your earnings with the help of your social relationships. The love and relationship horoscope for Librans forecasts that to make your relationship work, you will have to be really very patient, mature and adjusting. This month you are expected to have lots of disagreements with your romantic partner which will eventually get settled by the end of the month. Make sure that you deal with the discord in your marriage with great patience and understanding. If you are single and looking for a partner then you might come across someone who is worth falling in love for. The social relationships are going to be good. You may face some stressful situations with your friends this month but this is the testing period for you as only those associations are going to survive which are real and rest others are going to end soon. You may also experience some problems with your family members and other people surrounding you because of the planetary equations. The only key to survive through this time is to be patient and mature with your actions and decisions. Give them time and attention. The health astrology horoscope for Librans for November 2015 forecasts that there is simply nothing to worry about your well being. Your health will be in the best of its shape but to keep it in good condition you must keep following a healthy regime. Focus on your meals, sleep and exercise to ensure that you don’t end up messing with your routine. Otherwise there is nothing to bother about your health this month. 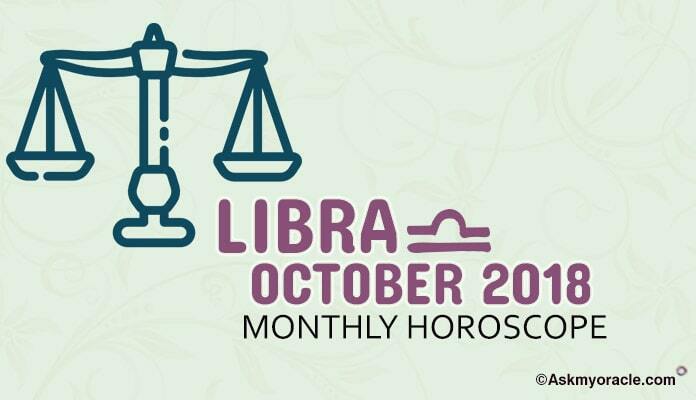 The month of November 2015 is dedicated to your family and domestic life as there will be so many small and big events in your personal life because of which you are going to keep busy. This doesn’t mean that your work is going to suffer because the situation at your job or business is perfectly under control and you are going to manage it well without any complications. The flow of money will be smooth because of which you will be able to manage your expenses well. Do not get involved in any useless expenses. Your relationship with your spouse, family and close friends can be very complicated because of the planetary equations that are going to adversely affect your association with them. Deal with everyone with patience and maturity. Health will be great which will impart you strength to deal with all sorts of complications in life. The free astrology horoscope for Aries zodiac sign for the month of November 2015 predicts that this is the time when you will have to be very flexible with people and adjustable with situations. The free monthly horoscope for Gemini sun sign for the month of November 2015 predicts that you are not in a good shape to lead. The free monthly horoscope for people born under Leo sun sign predicts that the month of November 2015 is going to be a time when your complete focus is going to shift to your family. 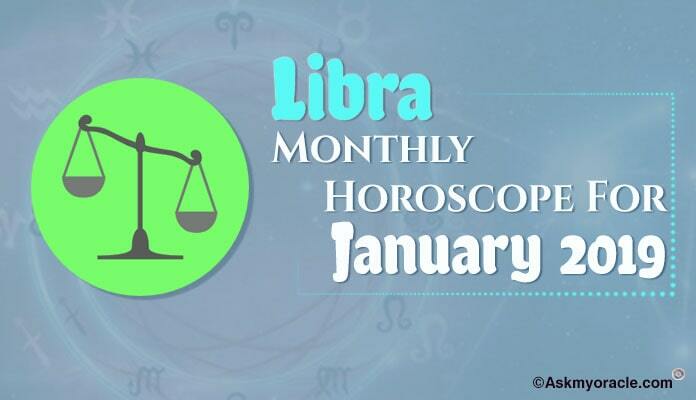 According to free monthly astrology horoscope for November 2015 for Capricorn sun sign, life is going to revolve around career. According to the free astrology horoscope for people born under Aquarius sun sign, the month of November 2015 is going to be a time when your career will be of utmost importance to you. As per the free monthly horoscope for Taurus zodiac sign for November 2015, it is the time when you will need to use your social skills to the best of your caliber. As per the free monthly astrology horoscope for November 2015 for people born under Cancer zodiac sign, this is going to be a time when issues related with your personal and emotional life are going to be the center of attention. 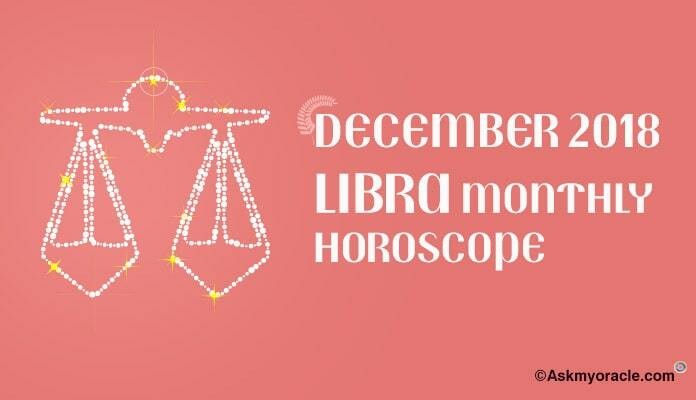 As per the astrological predictions, the monthly horoscope for people born under Sagittarius sun sign suggests that November 2015 is an extremely powerful month. As per the free astrology monthly horoscope for Pisces zodiac sign for the month of November 2015, you are going to concentrate on your professional life. 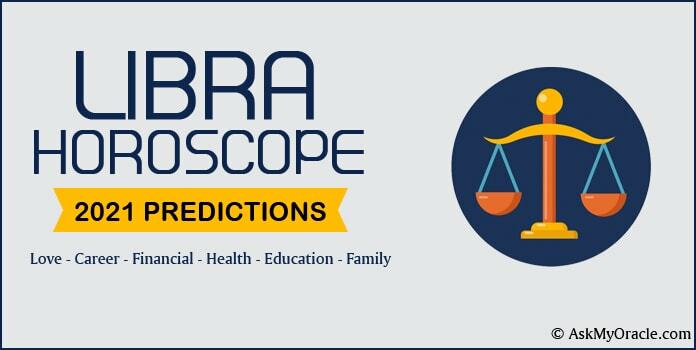 The free monthly horoscope for Virgos for November 2015 predicts that this is the month is dedicated to your family life. You will be surrounded with issues concerned with your family and spirituality. According to free astrology horoscope for Scorpion sun sign for the month of November 2015, during this phase your focus of life will be your personal life.